You may not realize it, nor pay much attention to it but, gutters are indeed an important part of your home. One of its most important functions is to direct water away from your home’s exterior walls, windows, doors, and foundation, preventing water from making its way inside. Without it, your home can be a total mess and could even fall apart. If cracks or splits begin to appear on your gutter, it is a sign that you may need to prepare for replacement soon enough. Regardless of how thin or small the damage is, keep in mind that it will eventually turn into a big problem and it may happen sooner than you think. If you allow cracks to remain, water can damage gutters further, and it can damage the fascia boards behind the gutters, the shingles above the gutter and the foundation below, causing more problems and more expensive repairs in the long run. 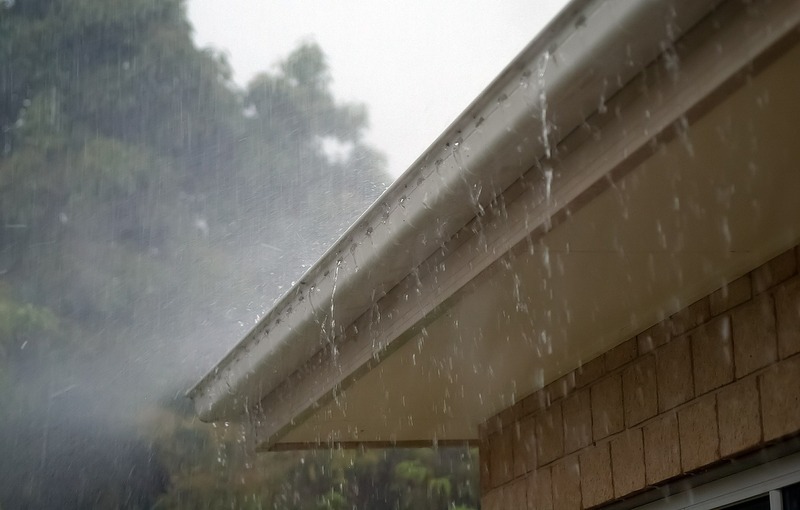 Gutters are designed and made to withstand the typical wear and tear throughout the seasons, especially its paint. If you begin to see some of the paint peeling, or notice flecks of orange paint on the surrounding area, it’s about time you talk to your contractor about its replacement sooner or later. Unless your gutters are extremely old, peeling paint or orange flecks from the beginning stages of rust are an indicator that water is present on a continuous basis. This sign tells that water is not being removed by the gutter or that cracks or other damage may be present. Check out your house’s foundation and see if there are water puddles, or mildew growing on it. Gutters are made to keep water flowing away from the very foundation of your home, and if this sign is apparent, it only means that your gutter system is not doing its job. Water can easily cause foundation damage, leading to costly, time-consuming repairs. However, this may be caused by something as simple as a clog—or by something as severe and complex as a defect in the gutter system. The first step to solving this problem is to inspect it and work from there. If there’s one solid case to prove that your gutter needs replacement ASAP, it is water damage or water marks directly under it. Experts advise that homeowners should check their gutters at least once a year on a day that’s relatively sunny and free from rain. If the walls of your home under the gutters have water marks, it is a clear sign that there is leaking, or overflowing water is escaping the gutter. Gutters should maintain its shape, regardless of its age. If it begins to sag or pull away from your house, it is a call for immediate replacement. This is one of the easiest ways to tell you need gutter repairs or gutter replacement because you don’t need to be on a ladder and inspect it closely to know it’s not doing the job. This can indicate that the gutters are full of water and pulling away from the house due to the weight of accumulated water. Sagging gutters could require significant cost or hassle to repair, which is why it is better to replace them instead. A full gutter means that the gutter system may not be appropriate for the home, its draining improperly or debris is causing blockage. Regardless, this means that it is failing to do its job.